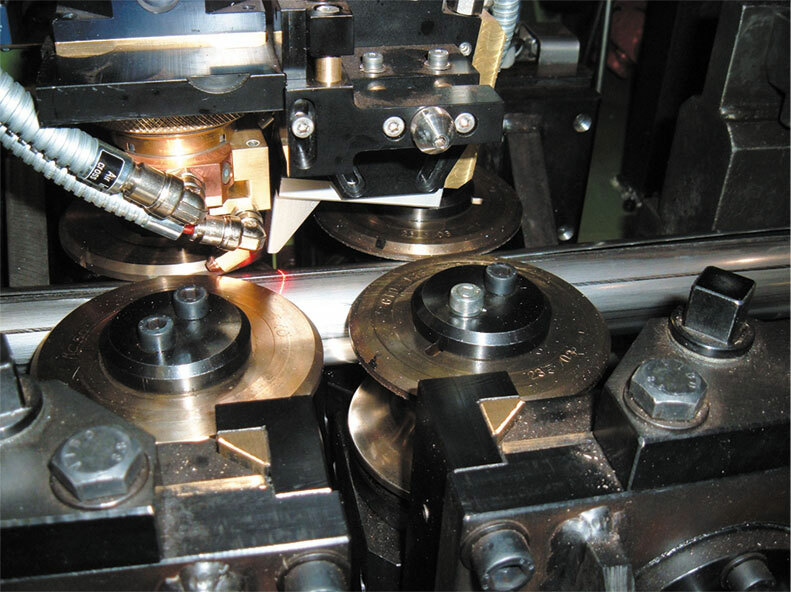 LASER welding has been wildly applied in the field of tube production. 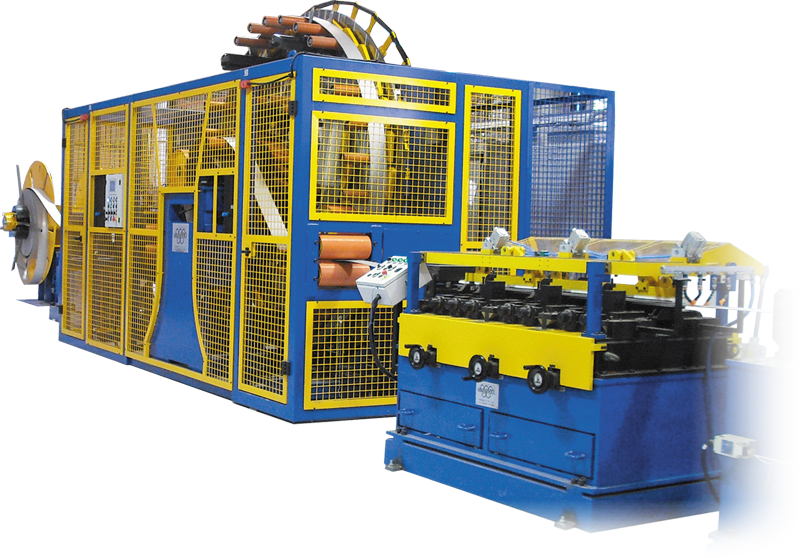 Welders of the latest generation ensure precision, reliability and allow to increase considerably production capacities of the mills. 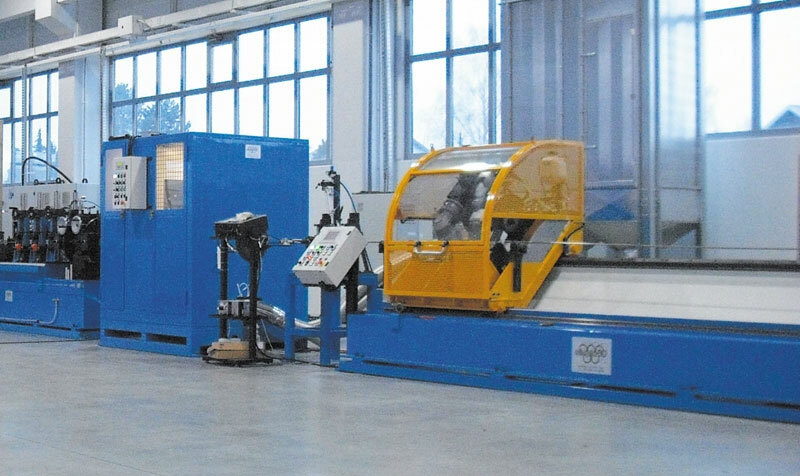 This has stimulated Olimpia 80 to realise faster and more advanced solutions and to offer a vast choice of equipment suitable to meet the newest technological needs. 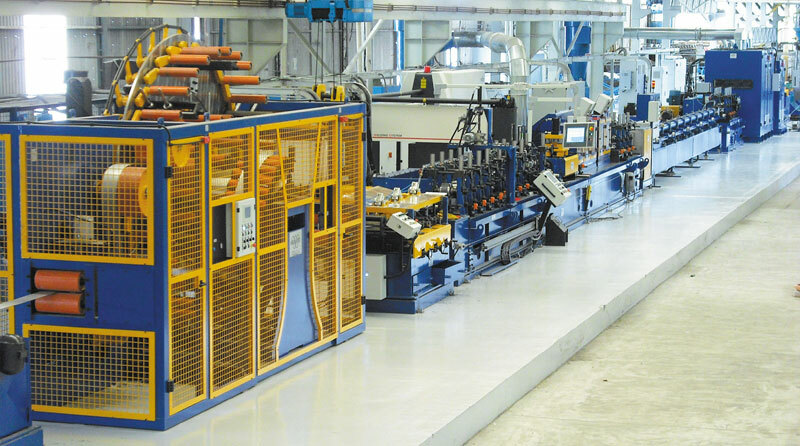 Complete line for production of stainless steel laser welded tubes, from 20 mm to 76 mm O.D. 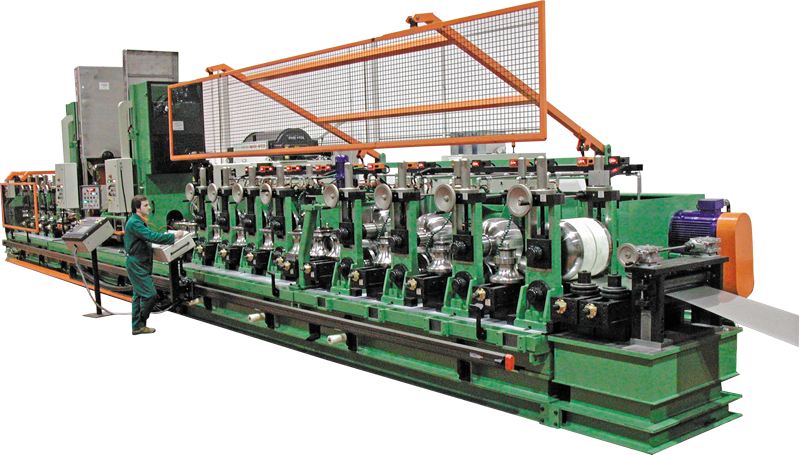 Olimpia 80 provides VERTICAL STRIP ACCUMULATORS, which have been accurately studied for medium production speeds. 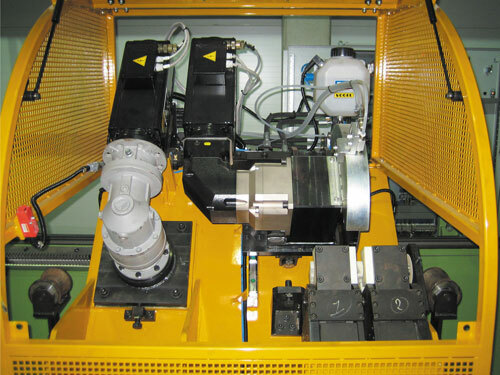 The STRIP EDGE PREPARATION UNIT consents to reach higher welding speeds thank to the strip geometric shaping. 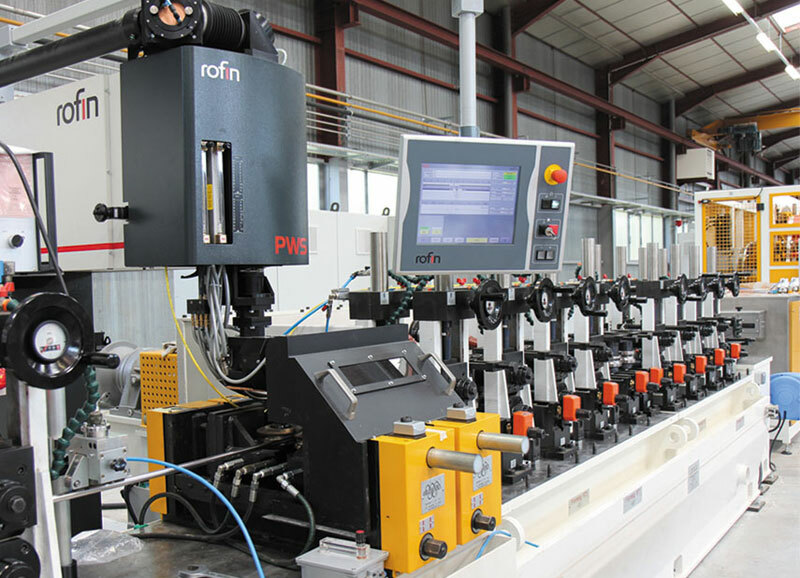 WELD BOXES WITH ROLLS for laser welding equipment, complete with rolls self-centring adjustment by screw-jack, mechanical display of roll positioning and load cell for indication of roll force on tube edges. 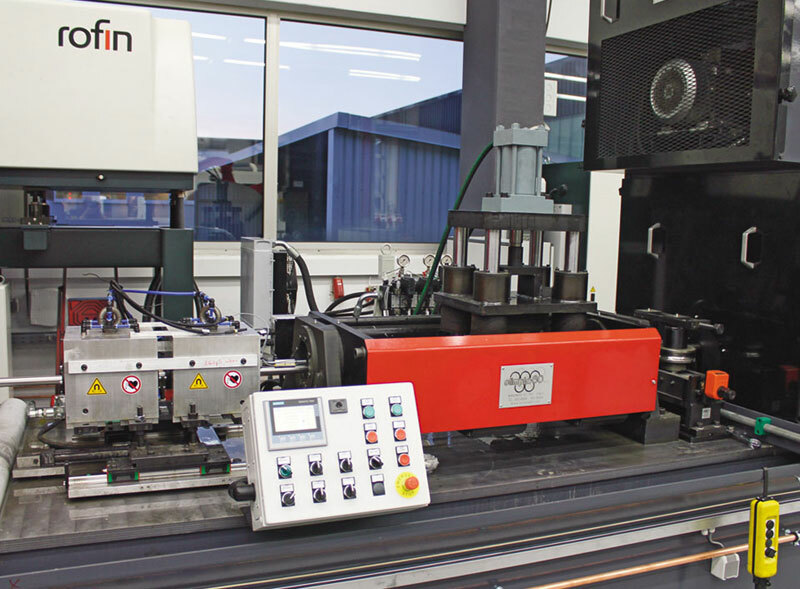 Olimpia 80 also offers the opportunity to install, on the 22 same line, a combined system of TIG and LASER welding. 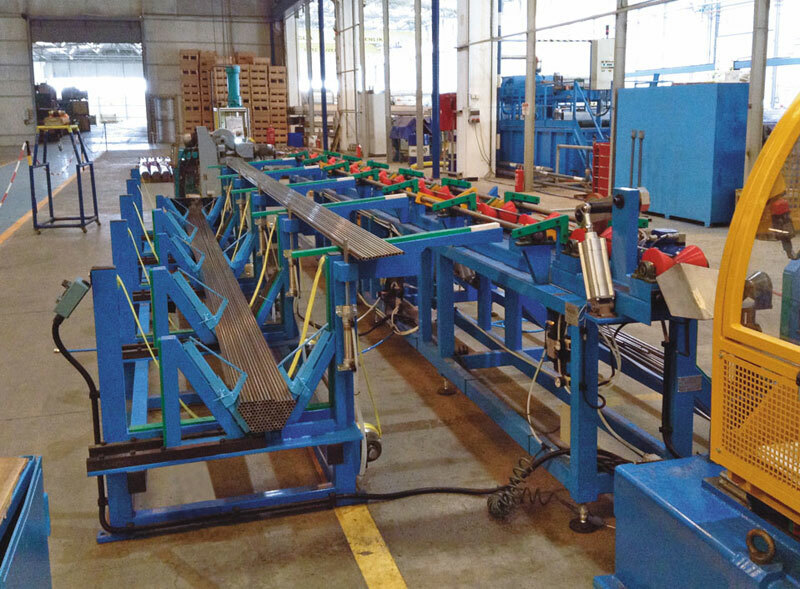 The welding beam resulting from the laser system has need of particular equipment for its internal and external removal, such as the new FLAP WHEEL BEAD GRINDER and the innovative MAGNETIC BEAD ROLLER. 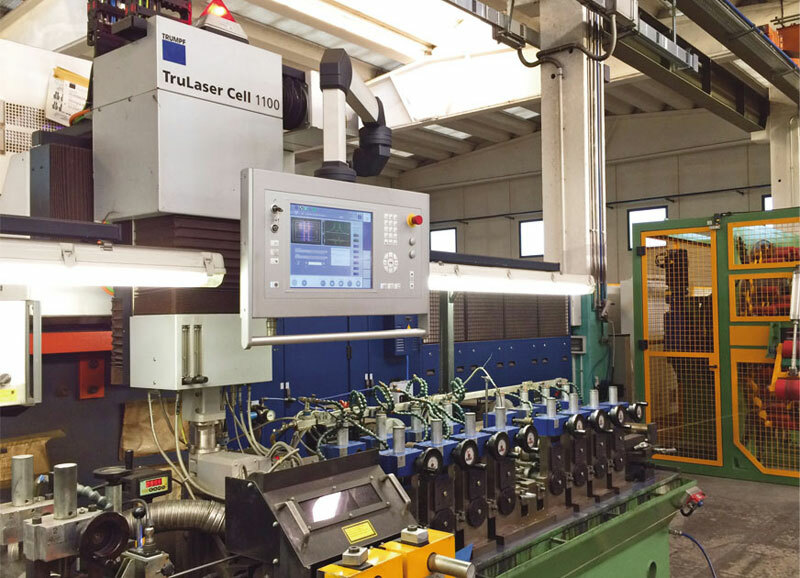 Complete line for production of stainless steel laser welded tubes, from 60 mm to 170 mm O.D. 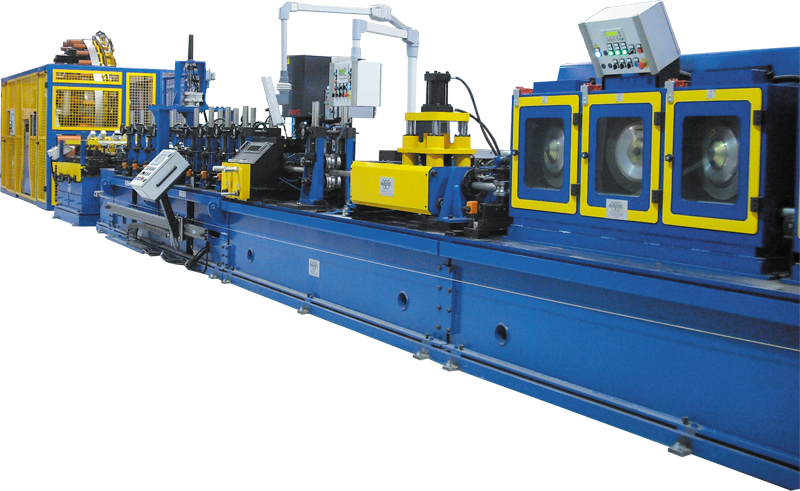 Olimpia 80 provides IN LINE BRIGHT ANNEALING MACHINES which are suitable for the higher production speeds of laser tube lines. 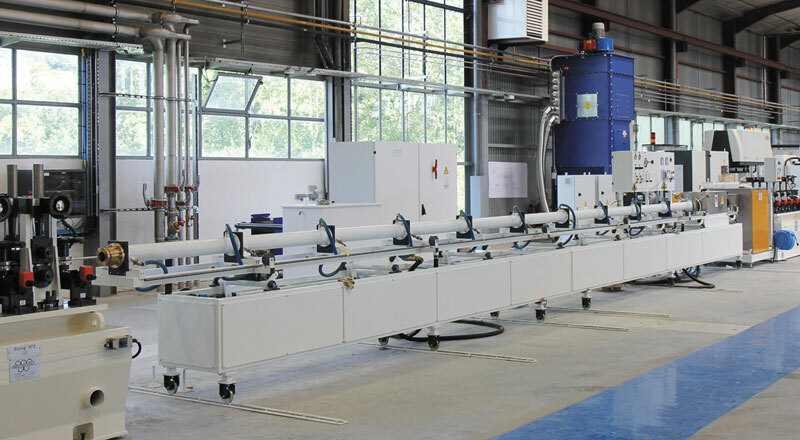 The company supplies complete systems, for tubes from 6 mm up to 114 mm O.D., including tube washing unit and pinch roll for tube feeding. 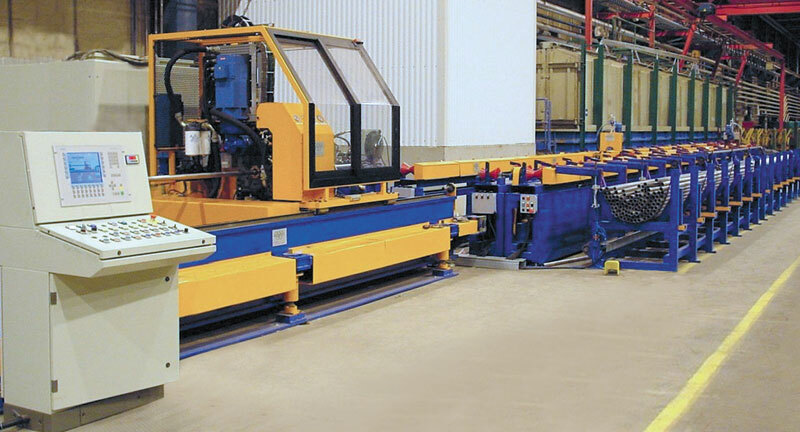 FLYING CUT OFF MACHINES are designed and produced to reach high speed and precision. 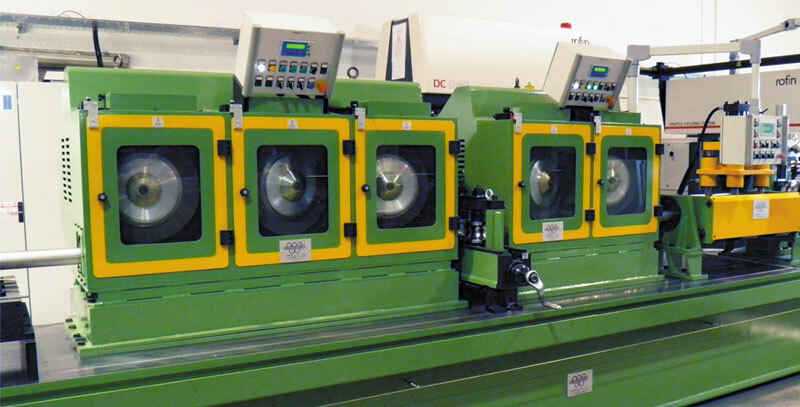 Olimpia 80 offers various models working by single disk saw or by double blade. 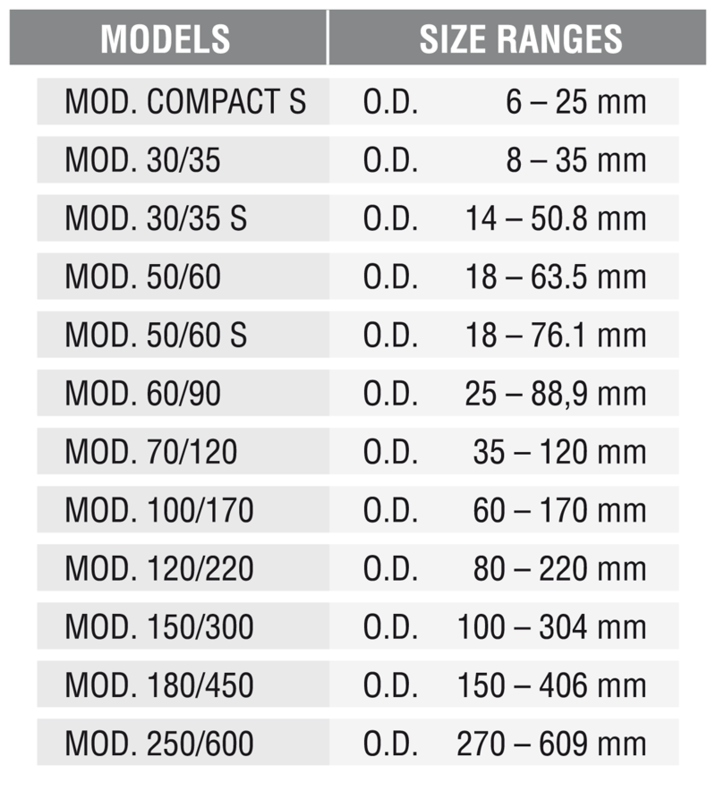 Double blade cut off for large pipes. 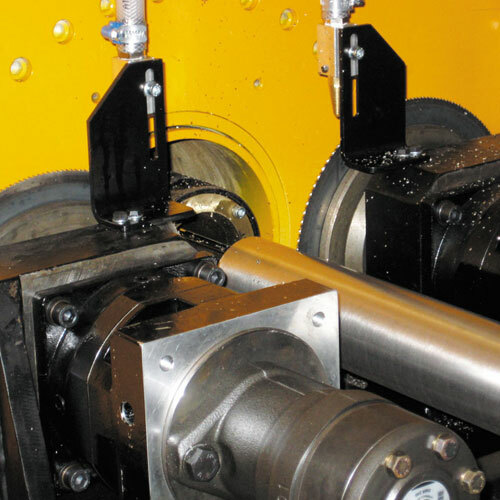 Disk saw flying cut off.